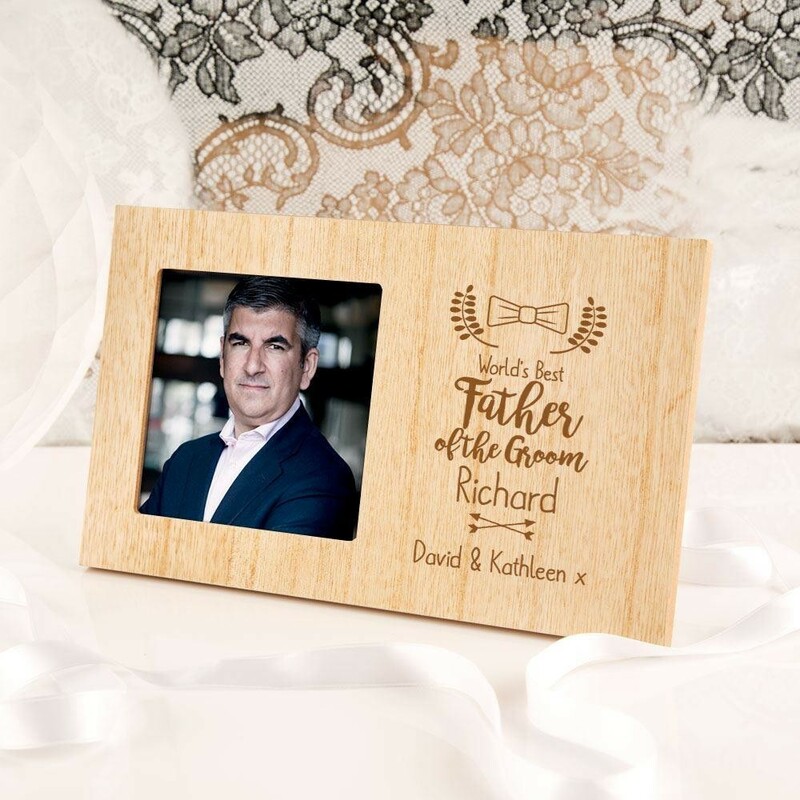 The Father of the Groom will love a special keepsake frame to display a picture of his son's special day. 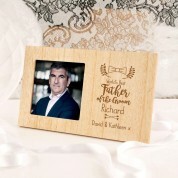 The stylish wooden photo frame has a rustic finish. It is laser engraved with his name and a short with love message from the bride and groom. It is made complete with a bow tie and wreath design. 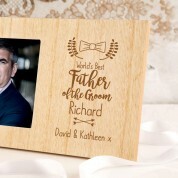 It reads the message “World's Best Father of the Groom”. The perfect way to say “Thank you” for all his support for on the big day. Present it to Dad with a photo for an extra personal touch. He will love to be reminded of such a perfect day whenever he sees it. All our frames are professionally laser engraved in house for unique results every time. Because of the grain of the wood, all frames will vary slightly in colour and texture, making each truly unique to the customer. 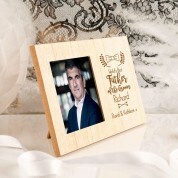 The frame features a small square photo window, the perfect size for an Instagram snap!